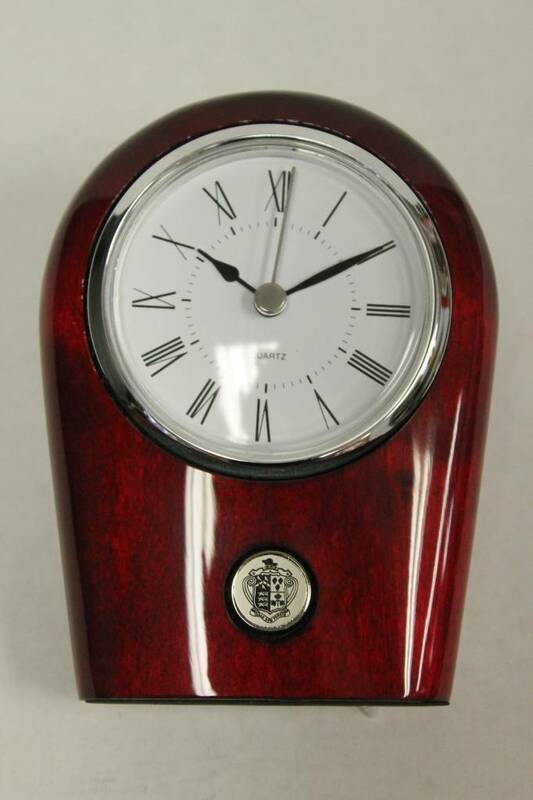 This is the Palm Desk Clock in a rosewood finish.. It is embellished with a Ridley crested silver medallion. Dimensions are 4 3/4" x 3 3 3/4 ". Gift box included.